Courbet gave many definitions to realism in art, such as "What my eyes see." Particularly relevant here is this declaration that confines painting to the domain of visible things: "An abstract, invisible object is not painting's domain." (from an 1861 letter) As it happens, precisely what Duchamp, from his youth, had endeavored to do was to turn away from such naturalism, leading the way toward what he once called "metarealism. "Every significant artist is a metaphysician, a propounder of beauty-truths and form-theories." Aldous Huxley (1894-1963), British writer. Involutionary art expresses the dissimulated frustrations and struggle of the unconscious self in his search for real identity trough the euphoric, sub mental symbolism of the art form an avocation of the soul that has little in common with the interdimensional identity of the self. Conscious or mental art is inspired from the higher self, and is a channel for the dictation of the conscious science of art, instead of being simply a lower form of self-expression, a cultural artifact of relative value. The mental artist has little need for unconscious expression and directs his creative ‘‘expiration’’ toward the exploration of higher consciousness trough his art, rather than simply entertaining a fictitious role, in part to quell the domineering impulses of the soul, and in part for the recognition of his peers. Art in its astral form belongs to our kind of civilization. We still need its contention that there is more to reality than appears at first sight. Metarealism is synonymous to metaconscience, which means beyond our psychological consciousness, beyond a subjective psychological polarized view of reality. Charles Sabourin is originally from Montreal, Canada and has been an artist for over 40 years. 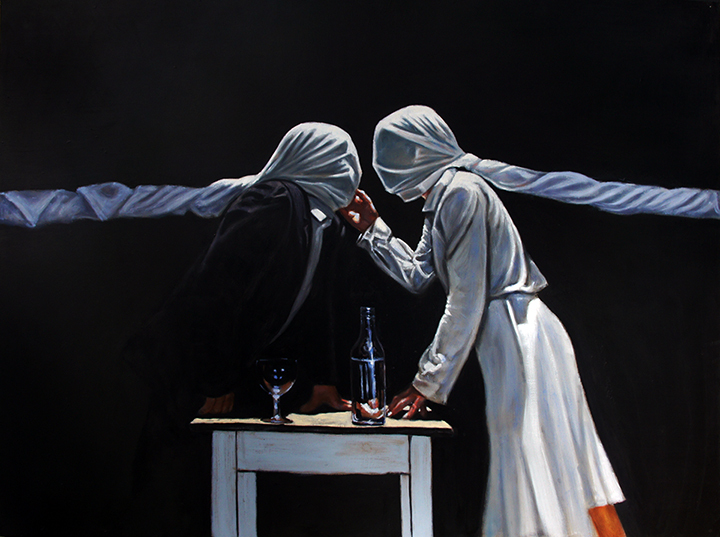 Charles is known around the world for his metarealistic paintings. 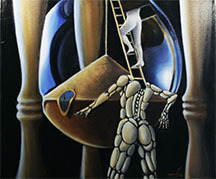 Charles Sabourin's metarealism seeks to depict the reality wich exist beyond that psychological subjective perspective. 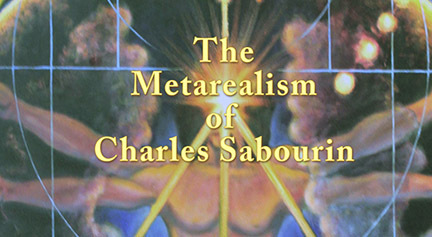 Charles Sabourin's metarealism proposes not only to communicate further than the pictorial aspect of the perception of other dimension of reality, but also tries to depict the essence of those dimensions and their relation to us as human beings. Metarealism then becomes at tool for the evolution of consciousness; just like in the old day's artists painted sacred art to depict their vision of the reality they perceived trough their spiritual interpretation of other dimensions. Metarealism could be considered a sacred art, in that it also tries to depict, trough a metaconscious perspective, the essence of reality as perceived by a metaconscious mind. Meta meaning, a holistic view of reality as perceived by a supraconscious mind, who sees reality as a whole rather than from a subjective personalized intellectually fragmented point of view. Metarealism is the materialization in pictorial form of the reality of other dimensions and their direct effect, and relation upon us. Metarealism tries to depict the relations between those dimensions of reality and how we psychologically interpret them through our sub mental symbolism. He studied with the painter Joseph Meisner from which he learned the basics of drawing and painting. Metaphysical Interior with Large Factory. who met in Ferrara that year. "Mystery" is the most familiar word of Chirico. He wrote the following: "there is much more mystery in the shadow of a man walking on a sunny day, than in all religions of the world". there were several other artists associated with them including Giorgio Morandi (1890-1964), Mario Sironi (1885-1961), and Filippo de Pisis (1896-1956). They aimed to depict an alternative reality which engaged most immediately with the unconscious mind. In this style of painting, an illogical reality seemed credible. Using a sort of alternative logic, Carra and de Chirico juxtaposed various ordinary subject -- typically including starkly rendered buildings, trains, and mannequins. Their alliance lasted less than a year and in 1919 all members of this group went into copying the paintings by old masters. Metaphysical Painting provided significant impetus for the development of Dada and Surrealism that was founded with the manifesto by Andre Breton. Their main slogan was following: the essence of things can be conceived not by reason but only using intuition. The philosophy of the unconscious of Freud became its philosophic basis. A lot has been said and written on surrealism. 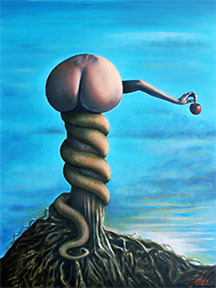 This direction in art exists no more, though some artists still work in surrealistic style. "Metarealism" is a direction in Russian literature and art that was born in the seventies – eighties of the last century. The notion "metarealism" - (meta means "through") - philosophically speaking, this is metaphysical realism. Meaning realism of hyperphysical nature of things. 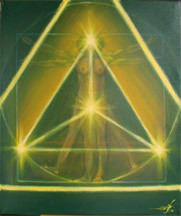 The main expression of its essence is given with metabola (on the contrary to hyperbole) which means "transfer", "transition", opening many dimensions. Metabola is different from the symbol because it assumes the interosculation of realities. And metarealism has very little to do with surrealism, since it appeals to the superconscious and not to the subconscious, thus opening a multidimensional perception of reality. The impressionists where looking for the relationship of spots of color between them, this was interesting. However we need something more than solely this satisfaction of the vision; it is also necessary to create the world of things that one doesn't see. The great artist is the formula for the greatest intelligence: to him the feelings arrive, the most delicate of translations and, thereafter, the brain's most invisible ones… All our five senses occur directly to the brain, impressed by an infinity of things. In other words, the painting is essentially of a significant nature and psychic : Gauguin sends it back to the painter's intimate being, a man of exception whose interior life is richer, and whose perceptions are finer; he receives his raw material more from within himself than from the outside world.